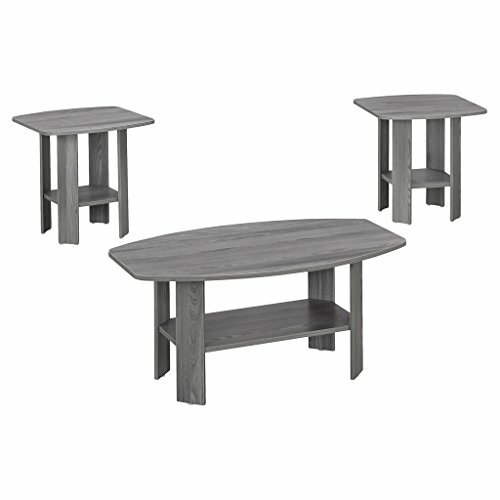 Refreshing your living room is a breeze with this convenient 3-piece table set. 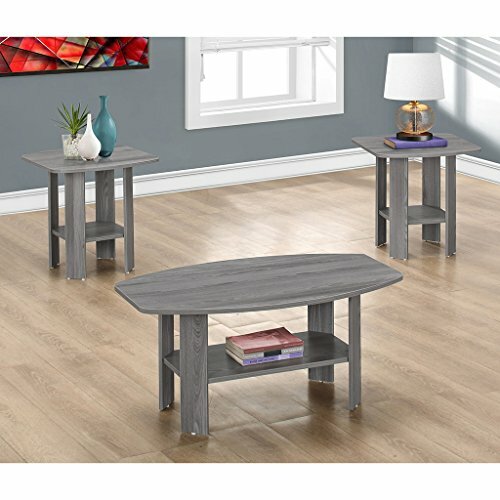 Featuring a coffee table and two matching end tables finished in a modern grey, this set will easily coordinate with a variety of decors. The modern angles paired with minimalist design give this set a contemporary look perfect for any casual modern space. 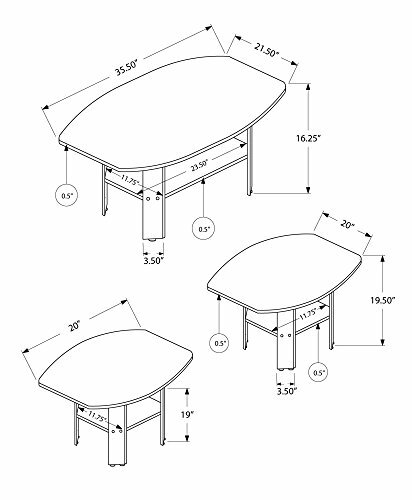 All tables feature a lower storage shelves ideal keeping for magazines, books, or accent pieces.